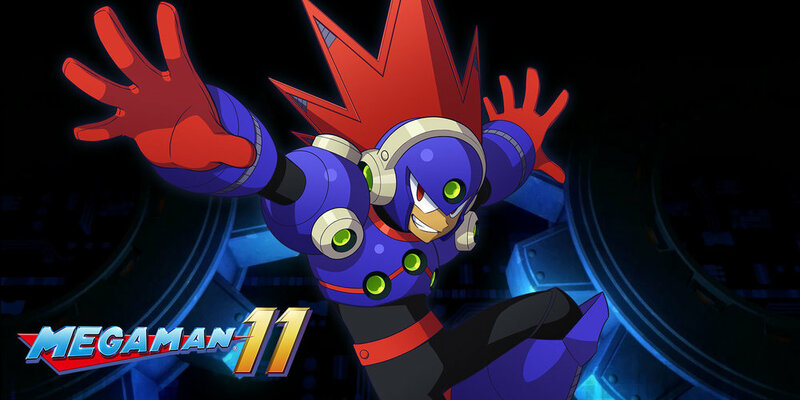 July 03, 2018 / LBD "Nytetrayn"
Today on Capcom Unity, the next in the line of new Robot Masters for Mega Man 11 has been revealed: Blast Man! Cue the music! 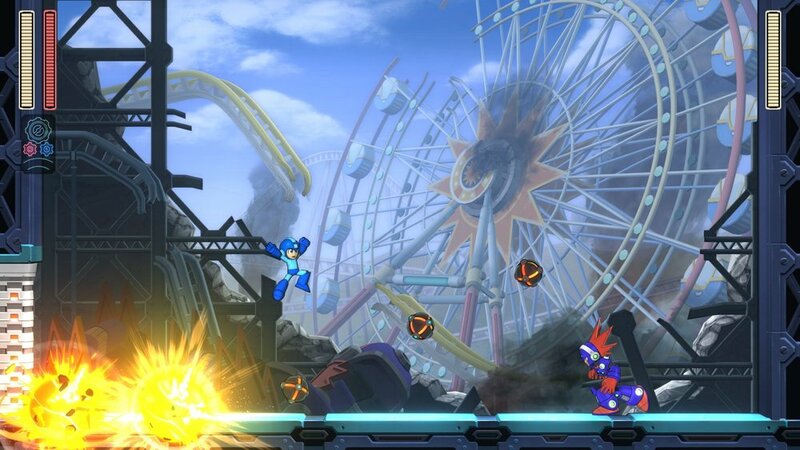 Described as a "volatile bot" who has "a flair for the theatric... and a taste for explosions," Blast Man inhabits the ruined remains of a theme park/movie studio (I'm guessing something like Universal Studios theme parks, maybe?) that he's turned into his personal playground. 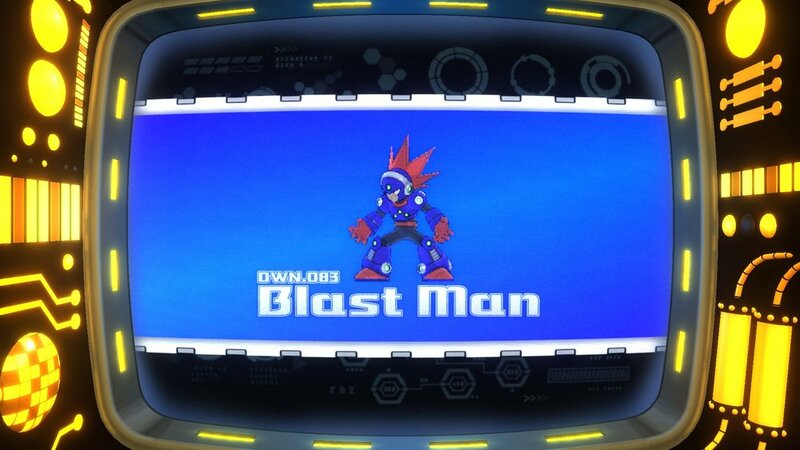 "He’s added several personal touches, including a number of signs featuring himself as the star of 'Blast Man Adventure.'" 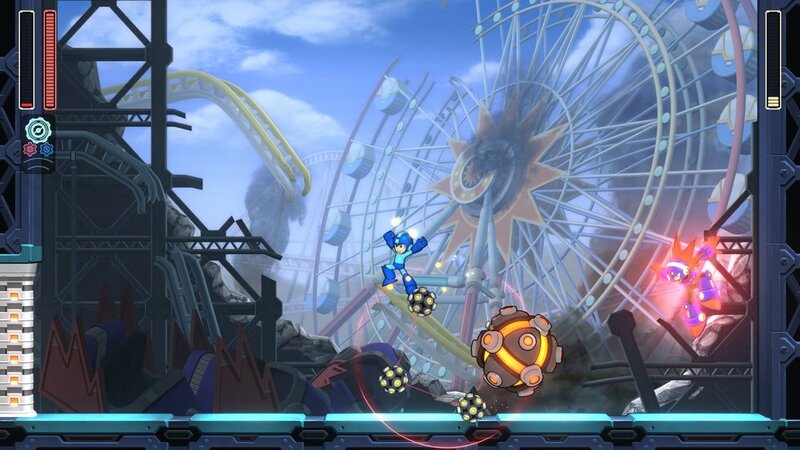 New and familiar foes and obstacles alike litter the landscape, ranging from fireball launchers and exploding mini-bots to Sniper Joes, and even an out-of-control roller coaster mini-boss that spills its mechanical passengers about. The Man of the hour himself takes after other bombing bots, but has the advantage of a Power Gear that super-sizes his bombs for a bigger bang to go with his more erratic pattern. Cutting the fuse on him will yield the Chain Blast, a sticky bomb that can be linked together for a bigger bang -- bigger still if you use your own Power Gear to up the ante. 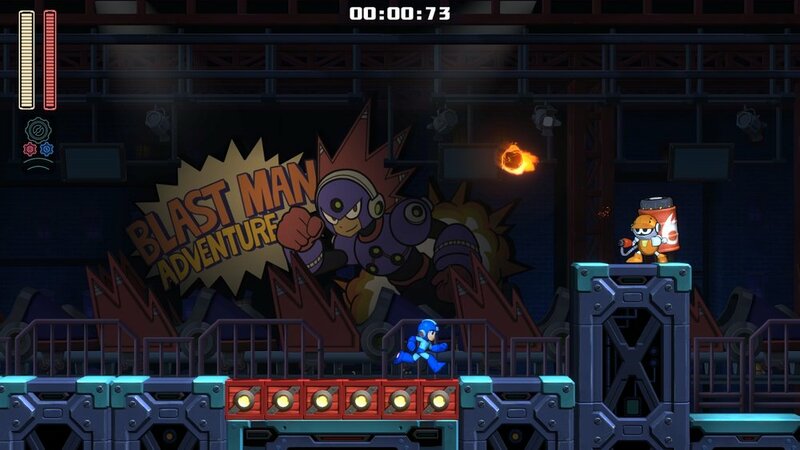 Capcom also gives us a look at Auto's wares this time out, including a new Auto-Charge Chip, which seems to work like the standard option X uses in his later titles. 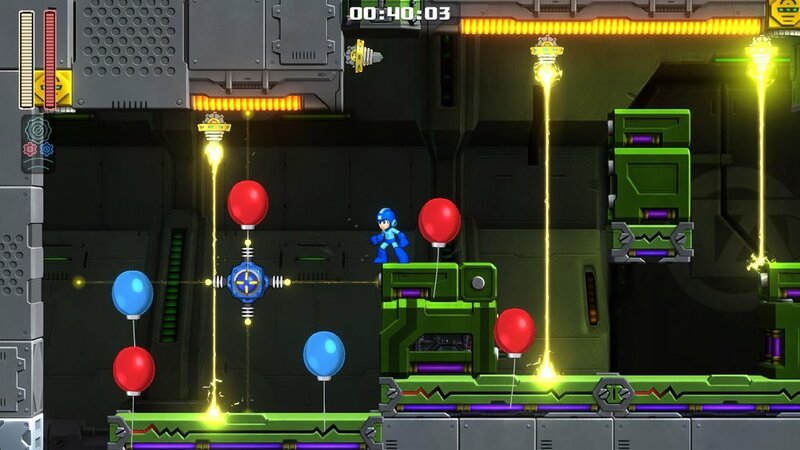 Beyond the main game, two new modes will also be available to test players' metal mettle: Time Attack, which is self-explanatory, and the new Balloon Attack mode, wherein Mega Man shows his true colors by popping all the red balloons (by shooting or touching) and avoiding the blue ones to keep the clock ticking in a race for the fastest time possible. 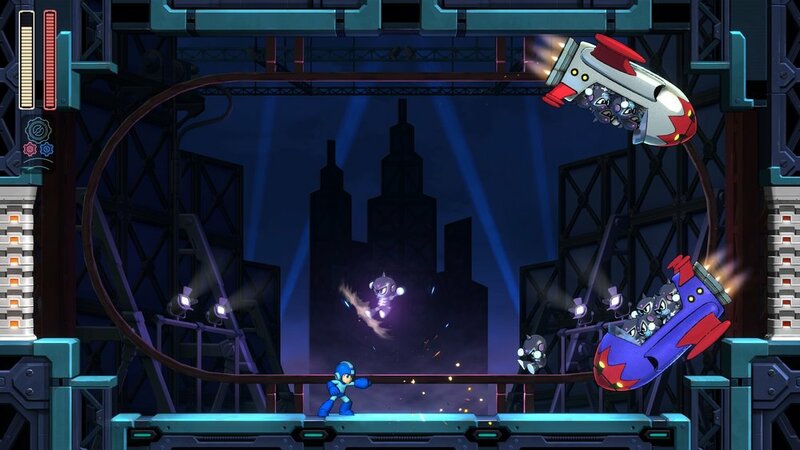 Mega Man 11 will be available on October 2nd, 2018 for Xbox One, Nintendo Switch, PlayStation 4, and Steam, and sounds like it's going to be a blast.